Hosting Thanksgiving dinner this year for the whole family? With all of the preparations, cooking & cleaning that you will have to do, it can become quite a daunting task. Let Stapleton Floral Design take some of the stress away! 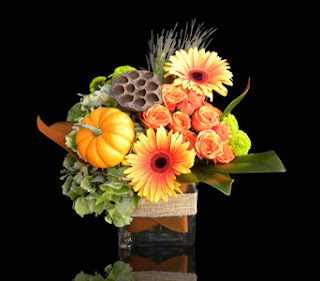 Our beautiful custom Fall arrangements, such as our lovely Lavish Autumn, will spruce up your home decor or table setting for a wonderful & Happy Thanksgiving. Hosting a Haunted Happening or attending a Halloween Bash this weekend? Turn to Stapleton Floral Design for the perfect centerpiece, decor or gift idea for your celebration. From our fun & fancy Boston Halloween! 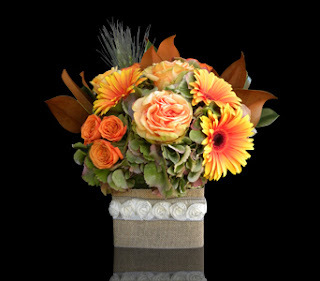 arrangement to our brilliant & elegant Boston Harvest design, we offer a variety of items with vibrant colors & luscious blooms. 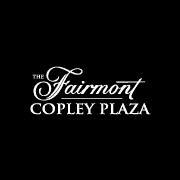 The Fairmont Copley Plaza, our Featured Local Business Of The Week, is not only a Boston landmark since 1912, it is also a beautiful venue for events, weddings & much more. It's convenient location in Copley Square offers many historical & cultural sites for guests to visit and enjoy, all within walking distance! Another beautiful corporate event at The JFK Library and Museum! The bright & colorful arrangements that the Stapleton Floral Design team created were an incredible compliment to the beautiful view, tablecloths & surroundings. This elegant design of rustic green hydrangea, roses, gerbera daisies, magnolia leaves & sprigs of wheat arranged in a vase bound in burlap adorned with a rosette ribbon is a beautiful centerpiece idea for Thanksgiving or a wonderful hostess gift wherever you might be celebrating this year. This fun arrangement, Boston Halloween, is a perfect gift for a child or adult who is a child at heart! 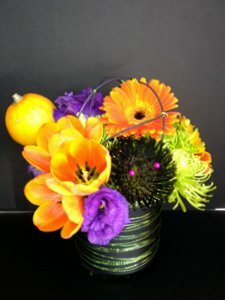 Also a fantastic centerpiece for your Halloween party or home/office decor. Salon De Cheveux South Boston, our Featured Local Business Of The Week, is a full service hair salon & makeup studio located near our East Broadway location in South Boston. They specialize in an array of areas of expertise ranging from creative hair color, precision hair cuts, exquisite bridal hair styles & makeup, as well as the market's premier 100% real human hair extensions. 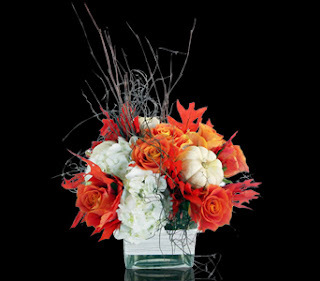 Have You Seen Our Fall Arrangements Yet? Brightly colored leaves, pumpkins and wood accents are just some of the fun things we get to work with for our Autumn creations. View all of our seasonal items on the web site or stop by one of our local Boston shops today!